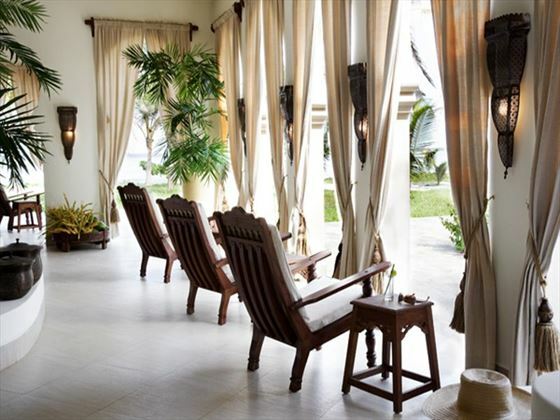 A picturesque and tranquil beach resort, the Baraza Resort & Spa is the ideal beach haven. 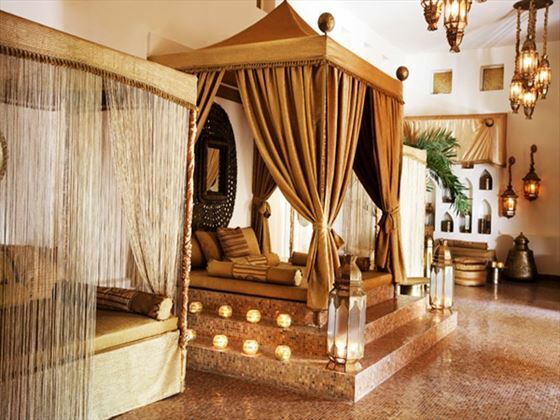 The ornate, Middle Eastern-inspired décor creates a glamorous ambience that sets the tone for your entire stay – you’ll feel like royalty from the moment you arrive. 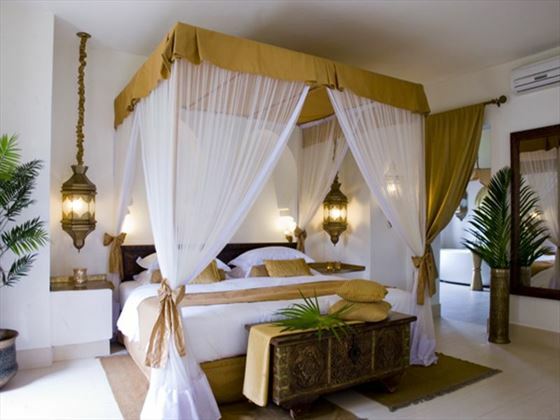 We think the accommodation really sets this place apart – all of the villas are incredibly spacious, comfortable and chic. 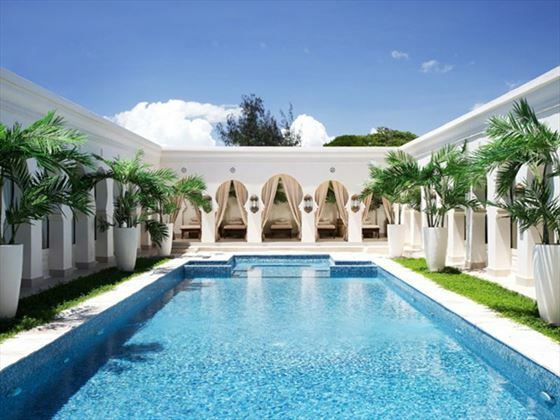 There’s a private plunge pool adjacent to each villa, as well as a vast pool within the grounds. 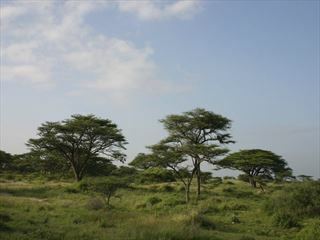 The meals here are varied and are often accompanied by authentic Swahili music. 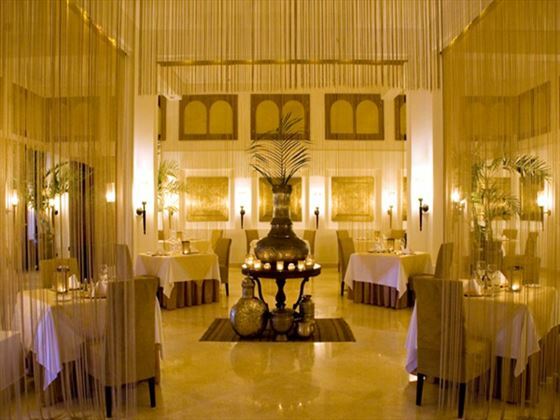 But you can’t mention this resort without commenting on the surroundings – they really are breath-taking. 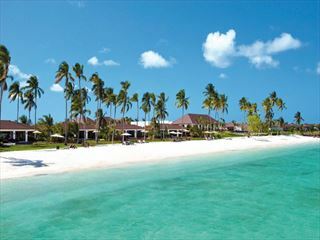 Head to the waters for a spot of sunbathing or take to the warm waters for a snorkelling session. Top tip: Although the intimate nature of the resort lends itself well to romantic getaways, that doesn’t mean families aren’t welcome. There’s a great kids club to keep youngsters entertained, as well as a child-friendly pool. 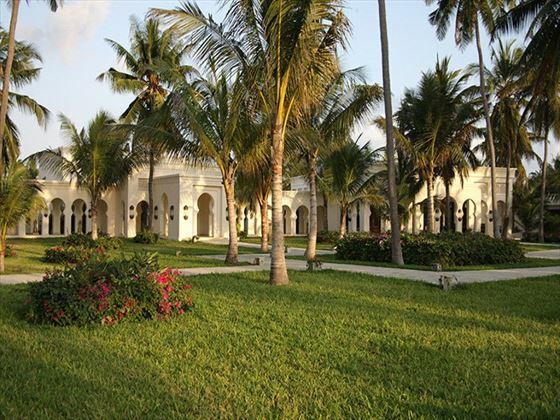 This welcoming and charming resort is nestled along the white sands of Bwejuu-Paje beach. 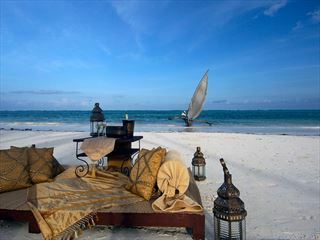 This divine beach backdrop is the perfect accompliment to the resort's trendy Swahili style, and evokes a sense of seclusion and exclusivity. 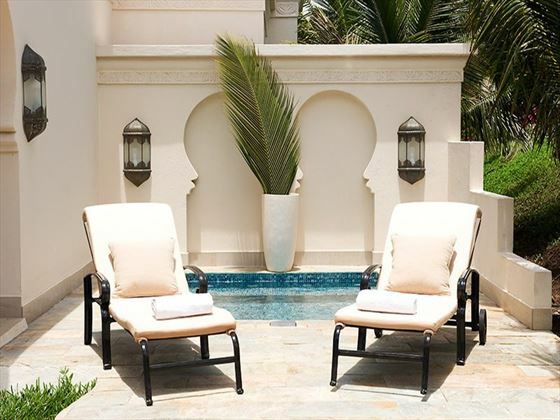 The resort offers 14 one-bedroom villas and 15 two-bedroom villas, as well as a Presidential two-bedroom villa. Snacks, soft drinks, fruit juices, local beer, house wine, tea and coffee, selected local spirits, cocktails. Sorry, there are currently no prices available for your selected options. Please change your options or call us on 01342 331 797 for a quotation. 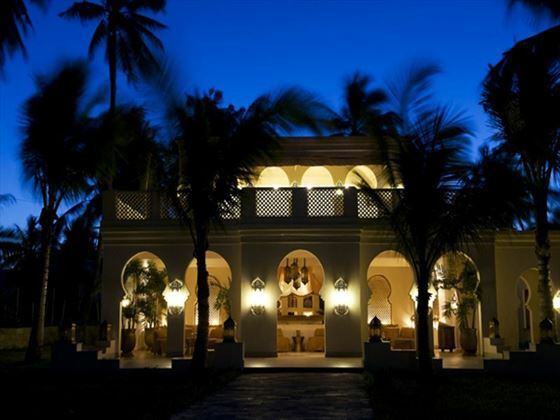 A great example of the beauty of Zanzibar, The Palms is a stunning and intimate resort that's perfectly suited to romantic holidays or tranquil beach escapes. 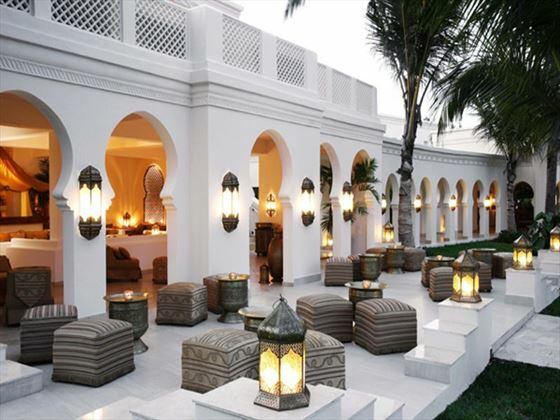 Stylish, luxurious and chic - The Residence is everything you'd hope for for an indulgent beach escape in Zanzibar. 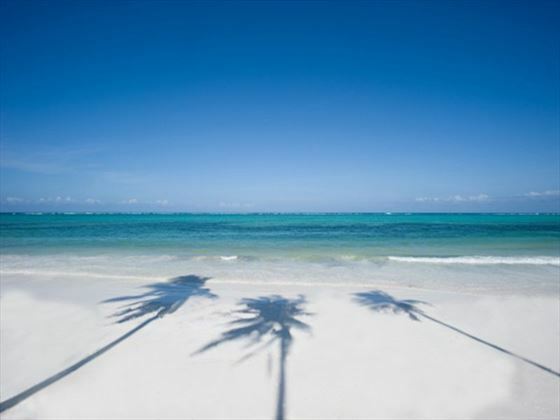 Enjoy the serene beaches and breath-taking views as you unwind.